Steel forgings are essential building blocks for subsea components, but tailor-made solutions to meet end-users’ specific requirements have caused long delivery times. A joint industry project (JIP), led by DNV GL, has now taken the next step in subsea standardisation by harmonising requirements for quality management of forgings. The recommended practice (RP) “Steel forgings for subsea applications – quality management requirements”, DNVGL-RP-B202, will enable delivery of high quality forgings at reduced delivery times and cost. Complementing the RP “Steel forgings for subsea applications” (DNVGL-RP-0034), which harmonises the technical requirements, the new guideline DNVGL-RP-B202 provides a unified approach to the qualification of manufacturers and the manufacturing procedure, and to perform production oversight. According to DNV GL’s seventh annual benchmark study, Short-term agility, long-term resilience, subsea technology is highest ranked area globally for conducting R&D among emerging technologies in 2017. Also, standardisation efforts are on the rise to remove complexities: Two thirds of respondents say their organisation will seek greater standardisation of tools and processes in 2017. “We are dependent on a streamlined supply chain to ensure quality, and to cut cost and delivery time. We therefore welcome standardisation initiatives that harmonise customer requirements. Together with the operators, we are now implementing the recommended practices in projects,” adds Elisabeth Hauso Skjerven, Chief Engineer, Aker Solutions. The following companies have been part of developing the RP in phase two of the JIP: Aker Solutions, BP International Limited, Brück, Celsa, Chevron, ConocoPhillips, Det Norske, Dril-Quip, Ellwood Group, Eni, ExxonMobil, Franchini Acciai, Frisa, GE, OneSubsea, Petrobras, Ringmill, Scana Subsea, Statoil, TechnipFMC and Total. 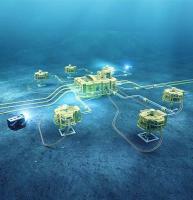 Other subsea standardisation initiatives led by DNV GL includes documentation, welding and subsea process equipment.